There are right and wrong ways to use AdSense. This article will outline some of the mistakes that can be made when using this type of service.When website visitors click on the advertisement, the website owner will make a little bit of money. The first impression is always what draws someone in and interests them. If a person has too many AdSense ads placed on their website it can give visitors a bad first impression. Just like in a home or an office, a person wants to look at organization and not clutter. If a website has far too many AdSense ads cluttering up the site, it is likely that the visitor will not stay very long. Too many ads can also lead a visitor to believe that they are visiting a spam website. This is not good business practice and can prevent traffic to your website. It is very annoying to see advertisement links hidden within the text of a website. This practice almost always makes a visitor want to exit the website as fast as they entered it. Never include AdSense ads within the text of a website. Even one ad hidden within the websites text is too many to have and will give your website a bad reputation. Doing this will prevent visitors from coming to your website. A visitor will likely not stay on any website very long if they encounter boring or non unique content. When AdSense is used on a website, the content should grab and hold a visitors attention. Visitors are more likely to click on AdSense ads when they enjoy the websites content. A website with Adsense ads should never under any circumstance have copyright infringed content. This is illegal and is also a very big mistake for AdSense users and non AdSense users alike. Honesty is the best policy in life. This also pertains to business practices. Deceiving people is morally wrong and can also cost a person their AdSense account if they are caught, which mostly always happens. Paying someone to click on the AdSense ads on your website is very much against the AdSense rules. Clicking on your own AdSense ads is also against the rules. A person who uses multiple AdSense accounts will be caught. There is no doubt about that. Using multiple AdSense accounts may seem like a good idea, but this practice is also deceiving and basically like stealing. These are just a few of the common mistakes that new AdSense users make. 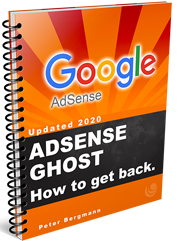 There are likely seasoned AdSense users that have made or are making these mistakes as well. Sticking to the rules and making sure everything is being done in agreement with the AdSense terms of service will insure a person’s success with this program. I noticed that some users try to get more views by visiting other people’s videos and make comments while inviting other viewers to view their videos. This can be considered as spam, because the user doesn’t really contribute anything to the conversation. So this is also something that can get you banned.